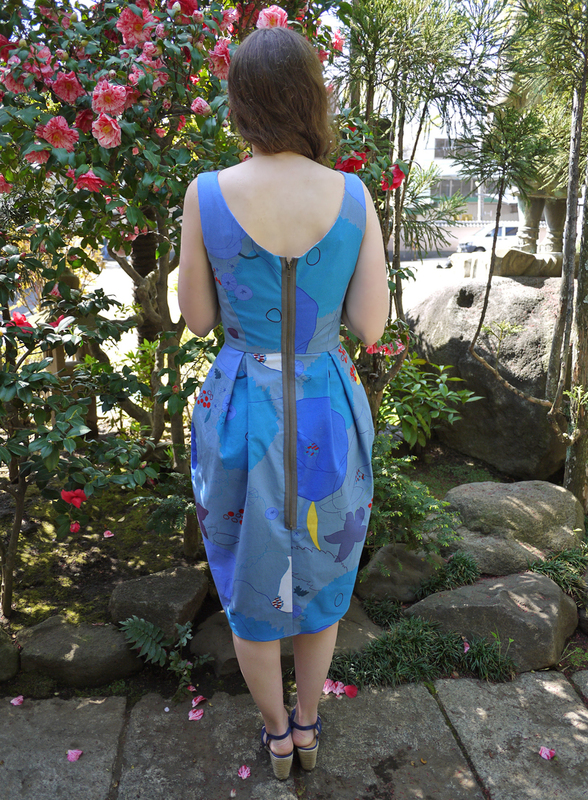 This entry was posted in Sewing and tagged By Hand London, clothing, Elisalex sewalong, Japanese fabric, linen, nani iro, Tokyo. Bookmark the permalink. I wish I could get away with wearing dresses that pretty. But my body just isn’t built for it. 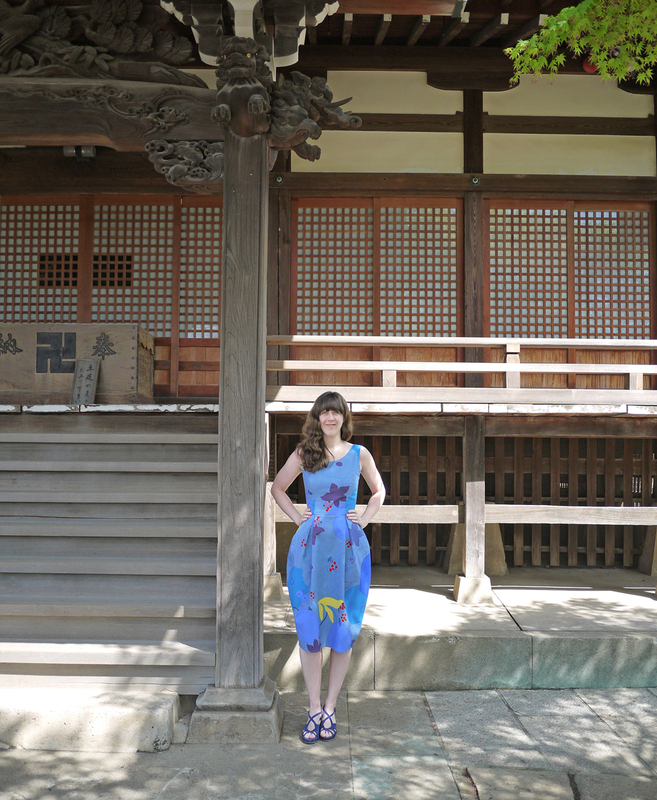 But that dress, and the idea of the double-gauze (Canadian summers don’t get as hot as Japanese ones, but they get hot enough) do really make me wish I could! I like it. Very pretty fabric. I love your version! That fabric is perfect and I adore the zip. Love the fabric and the dress pattern. And it fits you perfectly! Makes me want to try sewing this dress. Yay! It was pretty easy to put together, I recommend giving it a shot! Gorgeous! I love the length you kept in the skirt, and the exposed zipper. It fits you beautifully and I love the fabric! I just love your style! From the hollyburn skirt to this dress, wow! I love your dress! I smiled when I read about your clean-the-house dress (the muslin version)… lol! I’m so glad I discovered you from Feeling Stitchy blog. 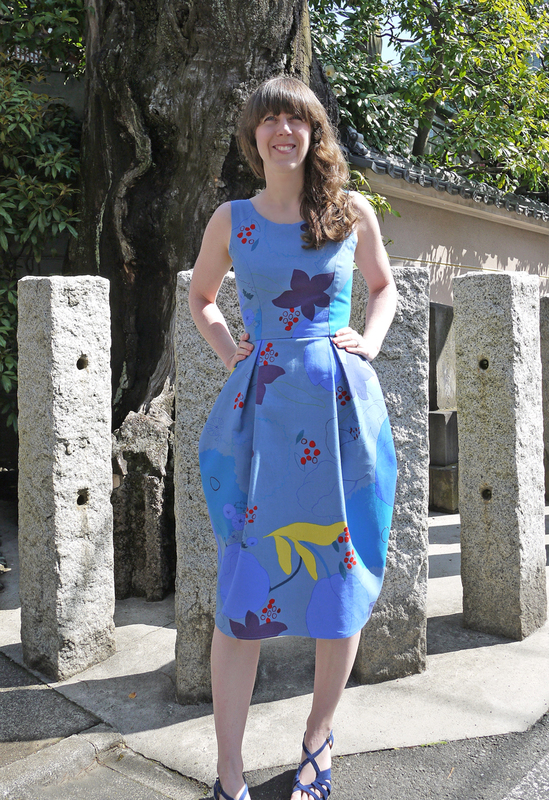 That`s a lovely dress – nice job : ) I love the macaron zip pouch and the look of the washi-deco iphone covers too.